Are you facing a DUI charge in Tucson or the surrounding areas of Southern Arizona? Being charged with a DUI in Tucson has the potential for significant consequences, which may include a suspension or revocation of your drivers’ license or even a jail or prison sentence. If you have been charged with a crime, it’s important that you have a lawyer who will fight to protect your rights. At Ariano & Associates, PLLC, we pride ourselves on establishing close business relationships with our clients. Unlike many other DUI and criminal law firms, our qualified attorneys will personally handle your matter, giving you the assurance that your matter is not being passed along to legal staff. 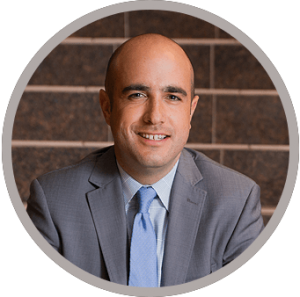 The decision to hire a Tucson DUI lawyer or Tucson criminal defense attorney may be one of the most important decisions you will make in your life. Finding a qualified attorney that is willing to communicate with you through the process can be a daunting task. At Ariano & Associates we understand that DUI and criminal law issues occur at all hours of the night. That is why our dedicated criminal and DUI lawyers in Tucson are on call 24 hours a day, 7 days a week to answer your questions and alleviate your concerns. Try out live online attorney chat! At Ariano & Associates, our accessible Phoenix bankruptcy lawyers and Tucson bankruptcy attorneys are on call 24 hours a day, 7 days a week to answer your bankruptcy questions. If for some reason you are unable to reach us we will always return your call or email within 24 hours. We offer free consultations regarding your DUI and criminal law matter at our convenient Tucson location at the corner of Church Avenue and Alameda Street. If you’re unable to meet with one of our Tucson criminal and DUI lawyers in person, phone consultations are available as well. Evening and weekend appointments are available upon request. At Ariano & Associates we believe in providing exceptional service at an affordable rate. As a result, we offer competitive legal fees that often meet or beat our competitors rates. Call us anytime to get an instant quote or use our case review, attorney chat, or click to call features on our website.